The Only 5 Star Caravan Park in North East Somerset, Exclusively for Adults - 2019 Prices or Click Here to see our discounts page! Christmas & New Year period, this is the fully serviced price. 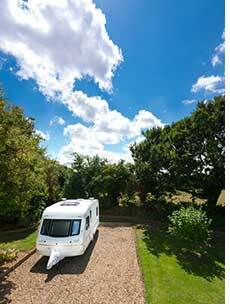 Members of the Caravan Club, the Camping and Caravanning Club and Best of British Loyalty card holders can enjoy a £1 per night discount if quoting their card number at the time of booking. Please note that due to demand we have a 7 night minimum for advanced bookings during June, July & August as well as over the Easter bank holiday. We have a 5 night minimum for advanced bookings over the May bank holidays. We also have a 3 night minimum over weekends in April, May & October, as well as during the Bath Christmas Market. This restriction is lifted at the start of the month if suitable vacancies remain. As you can book for any start date, we may get shorter gaps between longer bookings during restricted periods, so it's worth giving us a call to check. Other periods may have separate booking conditions & pricing. Extra adults are £6 per person, per night. E&OE. If you would like to book a pitch for these dates please call the reception on 01275 332 127 during office hours.